NEW! Stuffed Muffins are baked to satisfy any craving, all day long. Crafted with premium ingredients and fillings and decorated with a beautiful hand-finished flourish. At Modern Oats, our mission is to change people’s perspective of old fashioned oatmeal, one cup at a time. Creating the best oatmeal in the world took a lot of time and patience. 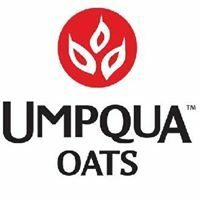 And before we knew it, everyone at home in the Umpqua Valley of Oregon had heard of our “reinvention” of oatmeal.